Emmett Idaho is a quaint little town beaming with all the rustic charms of an era long gone but maintained with pride by those that have chosen to make Emmett Idaho their home. This small town bases its existence on community and family. Surrounded by the foothills and located down in a valley, Emmett is able to provide the feeling of living deep in the country while only being minutes from the larger cities of Eagle and Boise. Residents when not enjoying the great outdoors surrounding them by hunting, fishing, camping, hiking, motorbiking on one of the custom motorcross tracks nearby, they can spend their free time socializing at the Emmett Plaza, which is a great place to meet up with neighbors. Emmett beams with history and community events that have been carried over for decades. If you are looking for a wonderful place to raise a family or simply retire, this is the perfect home for you. 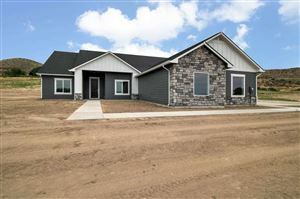 Real estate here in Emmett is very affordable!